With the return of AP supports and poke lanes thanks to Arcane Comet, the resurgence of the Spellthief’s Edge item line was bound to happen, but aside from seeing it on AP supports, the item has been showing up in another position entirely: the Jungle. In the last couple of months, some junglers have been picking up Spellthief’s Edge and Frostfang as one of their first buys, even before completing their jungle enchantment. The Tribute passive grants 13 bonus magic damage per proc on Spellthief’s Edge, which is bumped up to 18 with Frostfang. This means that 3 procs will be granting you 39 (or 54) extra damage -- that’s quite a bit in the early stages, enough to help you win skirmishes or secure kills in ganks. Furthermore, the Tribute passive doesn’t go on cooldown when farming the jungle, as it only applies to minion kills. This means it will always be up whenever you gank or duel the enemy jungler, granting not only extra damage, but also extra gold: 10 gold per Spellthief tribute proc and 15 per Frostfang tribute proc. Patch 7.22 also added the Bandit passive to all support items. While this change was made to offset the loss of the Bandit rune for supports, it's basically a net gain for other junglers. Aside from all the extra gold and damage, base stats also have to be considered. When you buy Spellthief’s or Frostfang you’re not just getting extra gold and damage, you’re also getting valuable stats. Spellthief’s Edge grants 10 ability power and 25% base mana regeneration for a mere 350 gold. Using gold efficiency calculations (comparing the statistical value of a sum of an item’s stats to its total cost) we can infer that these two stats alone are worth 342 gold. The passive gold generation passive will grant 8 gold in 40 seconds, making the item gold efficient shortly after buying it. Frostfang, on the other hand, is even more valuable. On Patch 7.18, 10% Cooldown Reduction was added to the item, a stat you could only obtain by upgrading Frostfang into Frost Queen’s Claim or Eye of the Watchers. 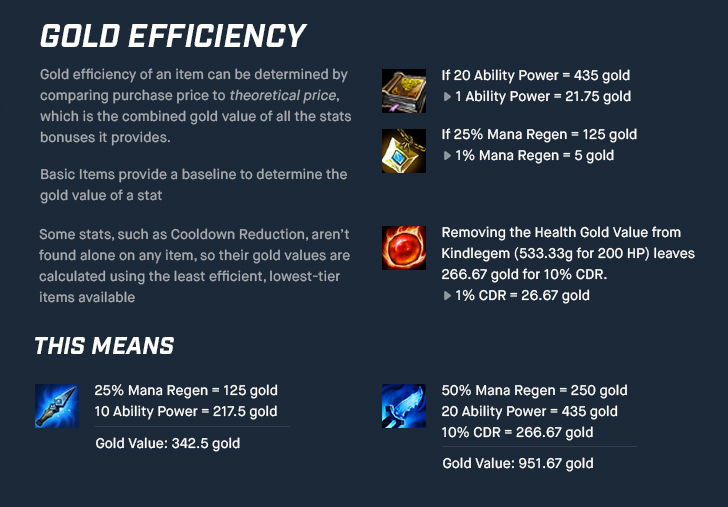 With 20 Ability Power, 50% Mana Regeneration, and 10% Cooldown Reduction, the item is worth 951 gold, a value superior to its 850 purchase value, and this is without taking into account the 2 gold per 10 seconds, the Bandit passive, and the Tribute passive extra gold generation and damage. Finally, it’s worth mentioning that holding onto the item grants extra value to the user. After earning 750 gold with the Spellthief’s Edge item line and upgrading it at least to Frostfang, Tribute procs will grant a burst of 50% movement speed for 1 second. Who wants to buy this? Technically, any AP jungler, or even AD junglers with AP ratios such as Shaco with Deceive (Passive) and Jack in the Box (W); but two champions stand out as junglers who can really make the most out of every Frostfang benefit. 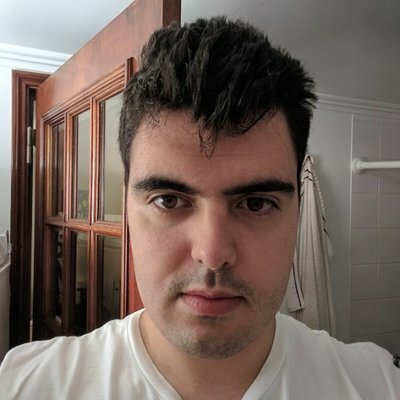 The newly reworked Evelynn can easily proc the 3 charges of the Tribute passive in quick succession with Hate Spike for extra damage and gold. Once she completes the quest, the movement speed procs can help her get in range of her target. Opening up with Allure and then a ranged hit from Hate Spike, she can quickly close the gap to hit her target with additional spikes and Whiplash (E). Nidalee’s damage combo usually involves hitting an enemy champion with Javelin Toss (Q) or even Bushwack (W) to mark them as hunted, so she can then transform to Cougar form to Pounce (W) on them and use Swipe (E) and Takedown (Q). Just like Evelynn, she can easily proc all 3 instances of the tribute passive. Once the quest is completed, hitting a Javelin Toss means extra movement speed to get into Pounce’s hunt range bonus. When should I upgrade to Frost Queen's Claim? While Spellthief's Edge and even Frostfang can be rushed before completing your other items, it's not recommend to just finish Frost Queen's Claim as soon as possible. While its counterparts are cheap, grant good stats, and are cost-effective purchases, the same can't be said for Frost Queen's. For a 1350 gold upgrade, you're only getting 40 AP and access to the active that sends out two ice ghosts. Instead, just hold on to Frostfang and get core items built first. Once multiple items are completed, slot efficiency starts to become a real issue. Once you have no inventory space for other item components or Control Wards, you should look to either sell Frostfang or upgrade it. And in the mid to late game stages, and as the map opens up with towers being taken down, the value of Frost Queen's active actually goes up, as it can help champions like Evelynn or Nidalee pick off isolated opponents moving from one lane to another.